We are here to serve you the customer and give your horse the best of care possible. If you have a need for special care for your horse, call us we can help. Broodmares for foaling 500.00 mo. This includes 24/7 watch; 4 feedings a day. Stalls are cleaned once a day. All trail riders must provide their own horse. We have experienced people on hand to help with injured horses or older horses that need special care. If you have a need for special care for your horse..call us we can help. In addition we will also board broodmares for foaling. Foaling stalls are 12 x 20. Call or text for details: 304-533-3670. NOTICE: THIS STABLE DOES NOT PROVIDE HORSES FOR YOU TO RIDE ON THE TRAILS. You must bring your own horse to ride. From Corridor G exit the Davis Creek Exit and turn left. Go straight through light on Oakhurst Drive. You will see a car wash on the left, turn left after the car wash onto Davis Creek Road (Kanawha State Forest Road). The Kanawha Forest Sign should be there. Go 2 miles you will see Shamrock Stables on the right, turn onto the road above Shamrock to the right. You will go another 2 miles approximately, cross an iron bridge and Diamond T Stables, LLC is on the left after you cross the bridge. Directly past the brown metal building on the left you will see the Dark brown wood siding barn and house is ranch style house brick and dark brown wood siding. Parking in the driveway. Room for Trailer parking and turn around in driveway. We have been in business for over 25 years. 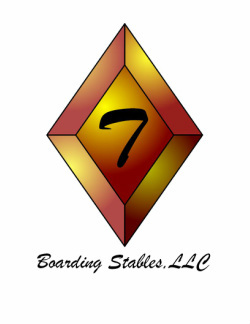 We are an established Boarding Stable. We provide services for horses with special needs, recovering injured horses or lameness, broodmare care and foaling, and endless trails for trail riders. Our goal is to provide excellent care for your horse. We encourage people to get outside and share adventures and new experiences in our State Forest.